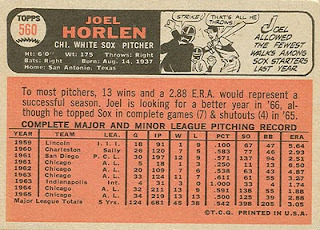 Horlen was signed by the White Sox in 1959, and pitched in the minors for 3 seasons before making his major-league debut in September 1961. 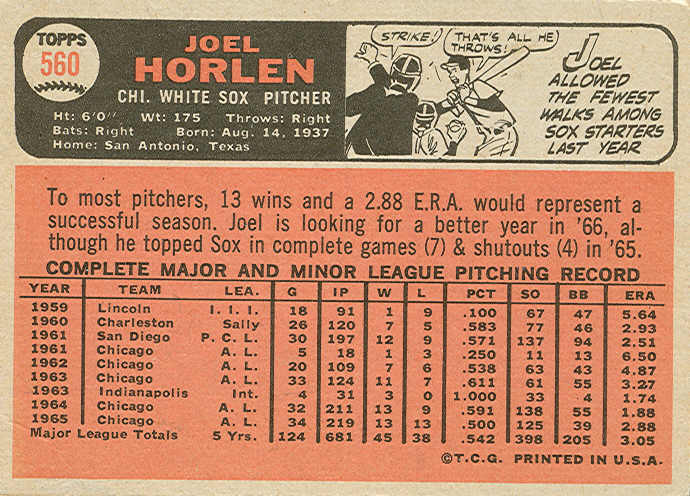 Beginning with his rookie season of 1962, Joel was a fixture in the White Sox' starting rotation for the next 10 seasons, and reached double figures in wins for every season from 1963 to 1969, including 19 wins in 1967. He also led the American League with a 2.06 ERA in 1967. 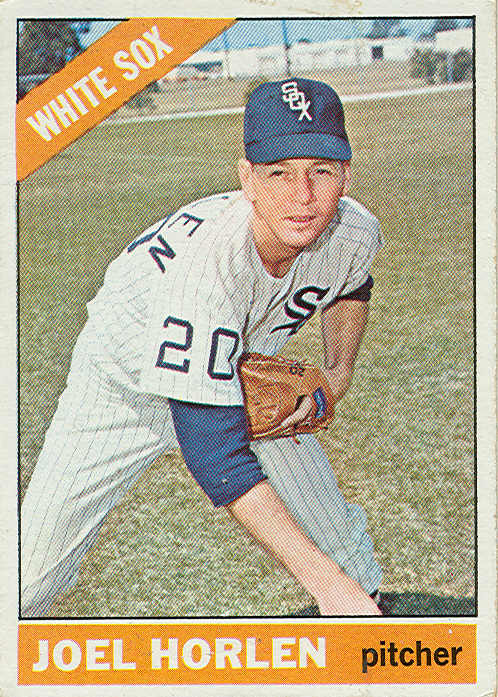 After 2 sub-par seasons in 1970 (6-16) and 1971 (8-9), he was released at the end of spring training in 1972. 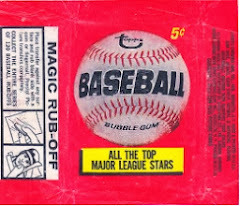 Two weeks later, he was picked up by the Athletics, and played his last season in the majors with Oakland in 1972. 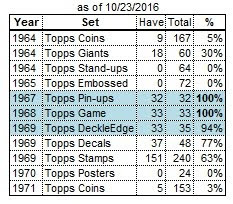 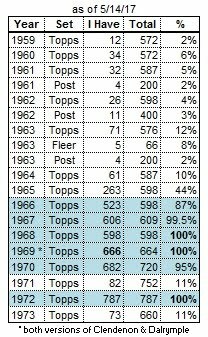 1973 was Horlen's last season in professional baseball, where at age 35, he compiled a 6-1 record in 9 games for the Indians' double-A team in San Antonio, TX.